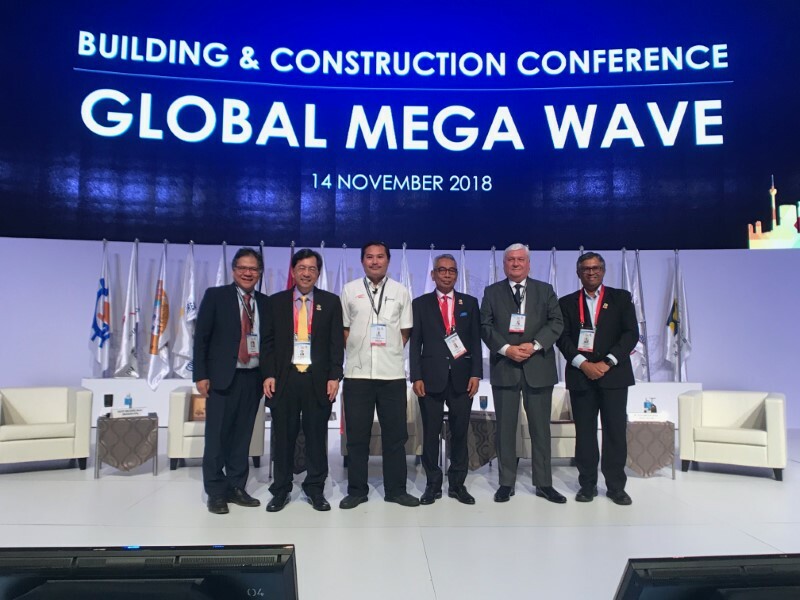 MASS Rapid Transit Corporation Sdn Bhd (MRT Corp) was invited to speak at the Building & Construction Conference 2018 held at Kuala Lumpur Convention Centre on 14 November 2018. 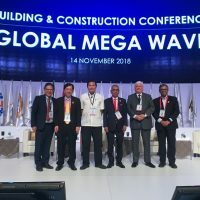 The conference which was held in conjunction with the 44th International Federation Asian and Western Pacific Contractors (IFAWPC) Convention 2018, was hosted and organised by the Master Builders Association Malaysia and International Federation of Asian and Western Pacific Contractors’ Association (IFAWPCA) respectively. 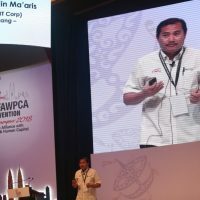 The conference’s theme was strategic alliance with innovation and human capital as its core message and had different international and local speakers presenting on different topics. 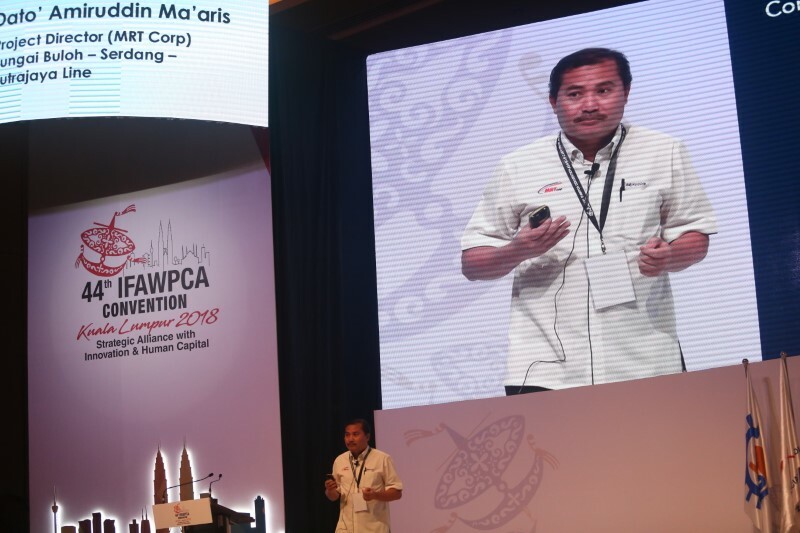 MRT Sungai Buloh-Serdang-Putrajaya (SSP) Line Project Director Dato’ Amiruddin Ma’aris represented MRT Corp and spoke about ‘Emerging Trends’ in the construction industry. He explained about how MRT Corp uses new technology such as the implementation of the Building Information Modelling (BIM) Level 2 for the construction of the MRT SSP Line. The objective of BIM is to have an effective control of the accurate project information to be shared across the Project. In addition to that, Amiruddin highlighted efforts that MRT Corp takes in going paperless in construction. Construction management for the MRT SSP Line is paperless and that inspections at work sites use a dashboard operating system that is digital. In fact, 132 tablets are deployed at underground station sites and project managers are able to receive progress updates using this technology. He was also invited to a panel discussion to discuss about the challenges faced during the construction period. During this panel discussion, various topics such as green revolutions for buildings, the Project Delivery Partner Model and price adjustment measures were discussed on that day. 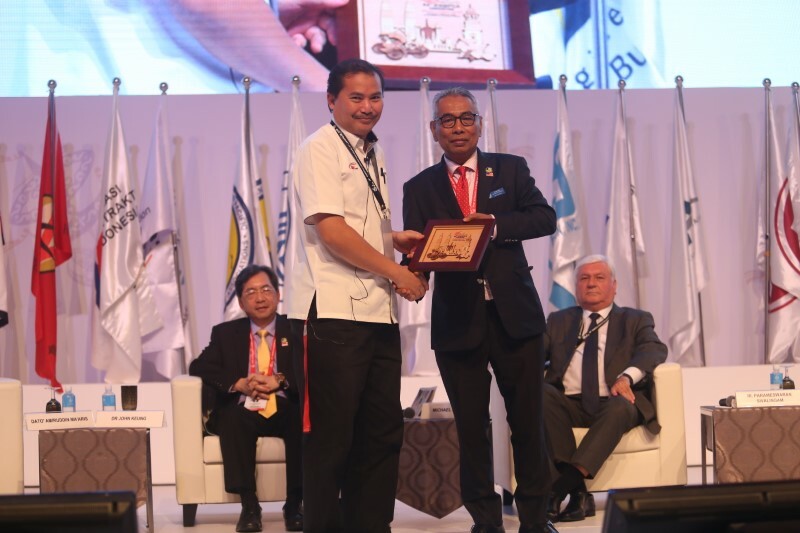 These were given by Nanyang Technological University (Singapore) Building and Construction Academy Dean Dr John Keung, MMC Gamuda KVMRT (PDP SSP) Sdn Bhd Project Director Ir Parameswaran Sivalingam and Plus 3 Consultants Chief Executive Officer Mr Michael J McIver respectively. 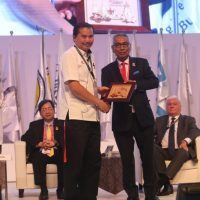 Amiruddin also answered questions on the MRT Circle Line and said that the future of it, which is currently on hold, might be reinstated in the future as it is in line with the Government’s goal of having 40% of people in the Klang Valley using rail transport to get into the Klang Valley. Moderating the session was Pemandu Associates President and Chief Executive Officer Dato’ Sri Idris Jala.